Peter Wheeler Electrical Ltd specialises in planned and reactive electrical maintenance of commercial assets and properties. We represent a one stop solution for facilities managers, providing certification and testing of electrical installations, fire alarm systems, emergency lighting, and portable appliances. 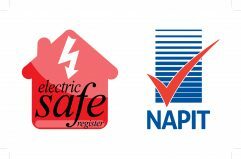 Whatever your electrical maintenance requirements contact us to arrange a full survey and quotation.